Brenna Huckaby is a two-time gold medalist in snowboarding at the 2018 Paralympics, a mom after the doctors said it wouldn’t happen; and the first Paralympian to be featured in the SI Swimsuit issue. She also took home the 2018 ESPY for “Best Female Athlete with a Disability” in July. 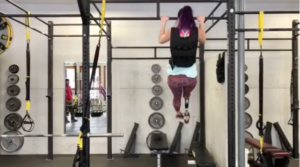 Don’t tell this cancer survivor there’s anything she cannot do. 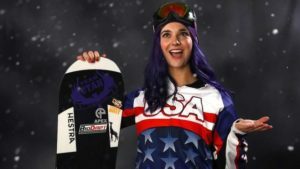 A nationally-ranked gymnast at 14 years old when she lost her right leg above the knee to osteosarcoma, she stared down cancer and came out the other side when she discovered snowboarding, a new sport to fire her passions. Her story: “Brenna was not always a snowboard world champion. She began her love of sports with gymnastics when she was young. An osteosarcoma diagnosis in 2010 resulting in the amputation of her right leg led her down a different path. A month after her amputation surgery, Huckaby got her first prosthetic leg, set her eyes on the slopes, uprooted her life in Louisiana and moved to Salt Lake City. She attacked snowboarding with the same passion she did with gymnastics. Huckaby began competing in 2013 while training at the National Ability Center in Utah. Following a few successful seasons on the mountain, she took a break from the sport in early 2016 to give birth to her daughter. She quickly returned to training in late August in preparation for the 2017 season.